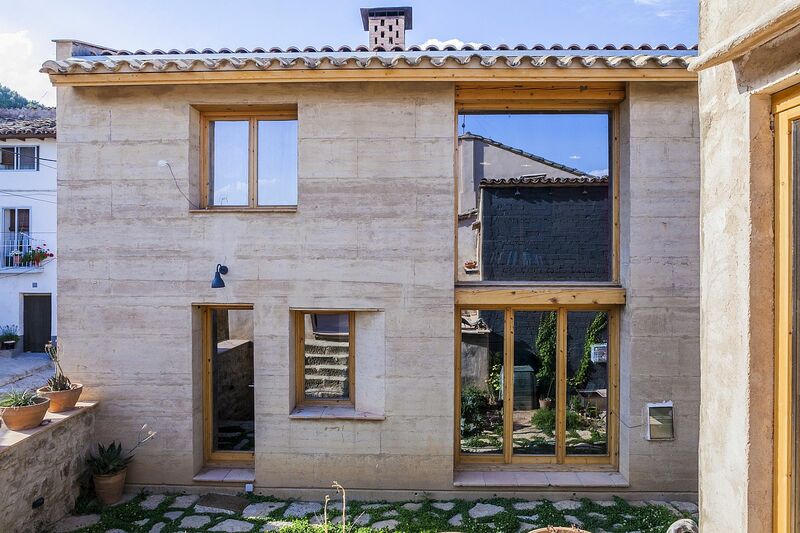 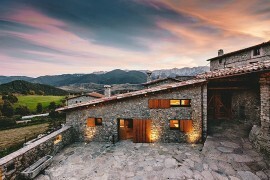 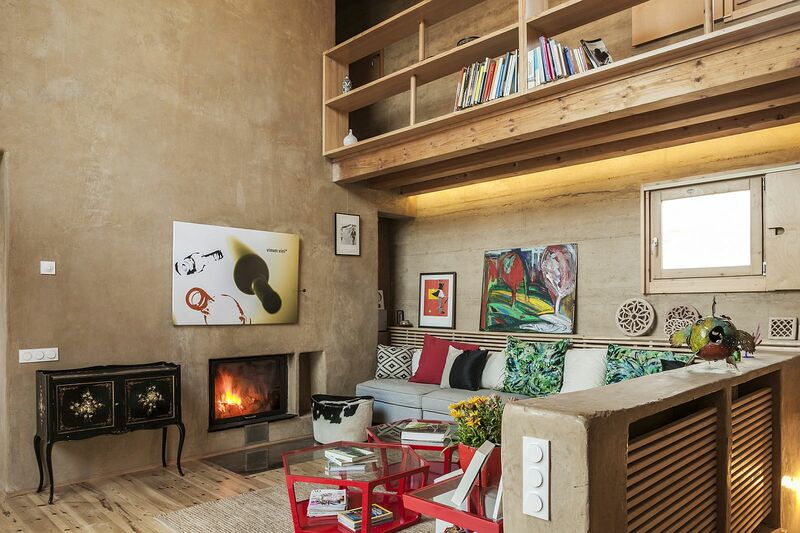 The beautiful little village of Ayerbe, nestled in the Spanish Pyrenees, offers the perfect backdrop for this gorgeous and unique modern rammed earth house that aims to revive traditional architecture at its eco-friendly best! 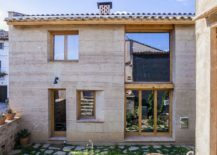 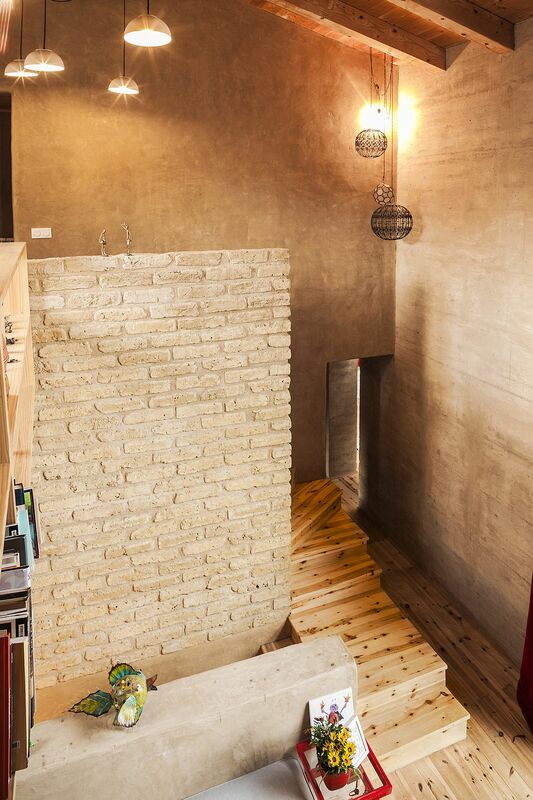 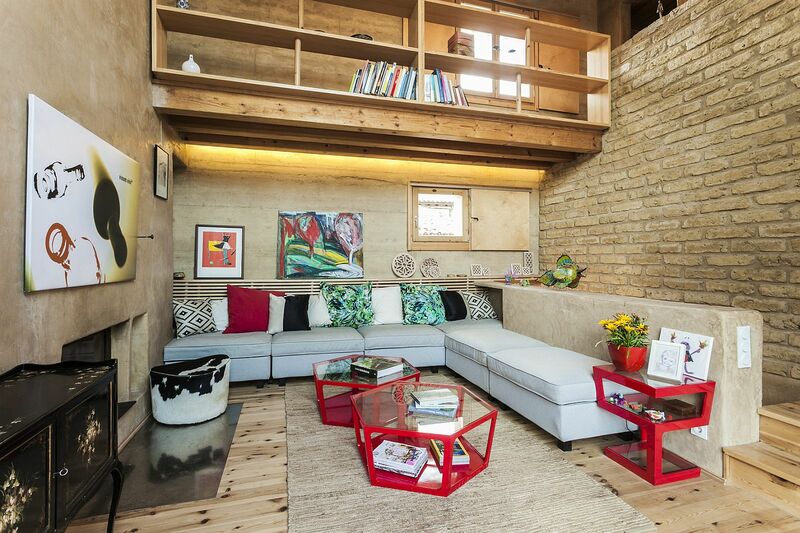 Crafted by Edra arquitectura, the idyllic home was constructed with entirely local materials, and it is stone, earth and straw that define this award-winning structure. 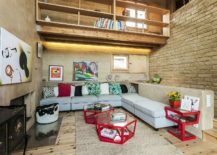 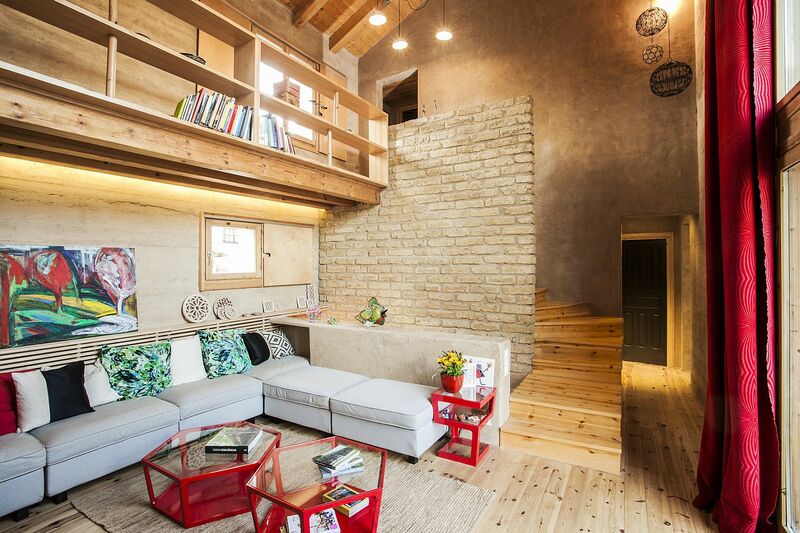 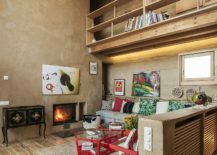 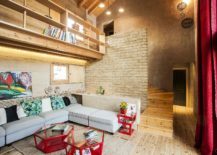 Inspired by the traditional earthen houses in the region, the structure of the house is deceptively simple and traditional, yet it offers all the modern comforts one could wish for. 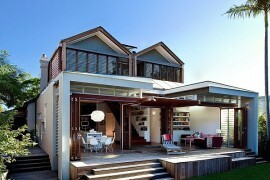 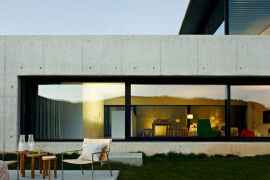 A marriage between contrasting styles and architectural principles, life here is all about being close to nature. 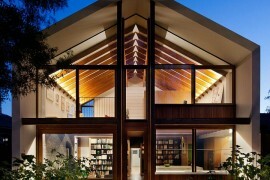 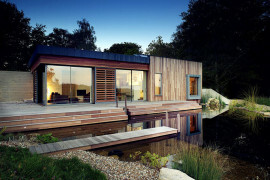 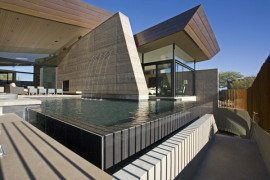 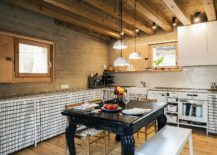 Not only does the use of natural construction materials and locally sourced elements give the home a green sheen, the use of passive solar heating and cooling techniques, smart insulation and rainwater harvesting systems ensures that it is as planet-friendly as possible. 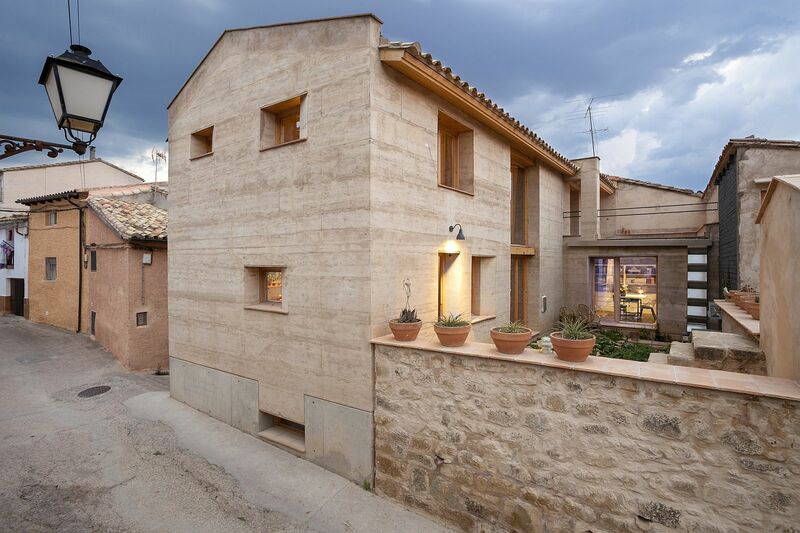 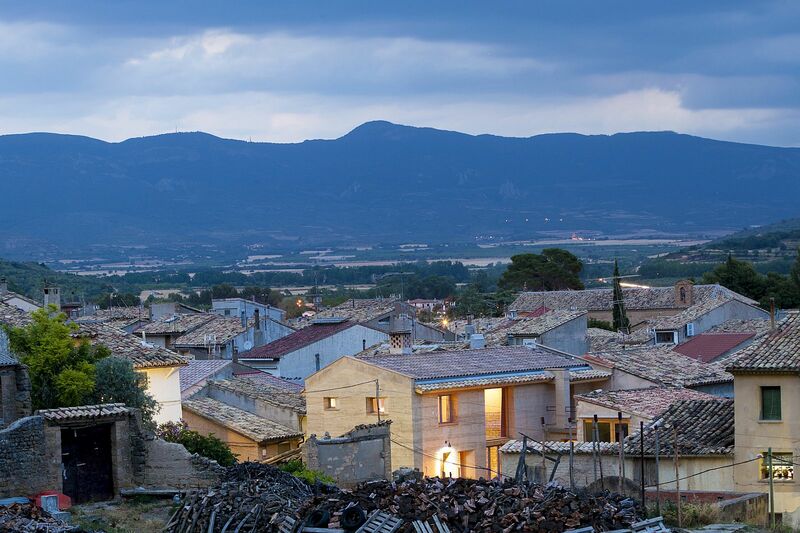 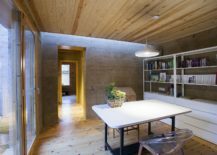 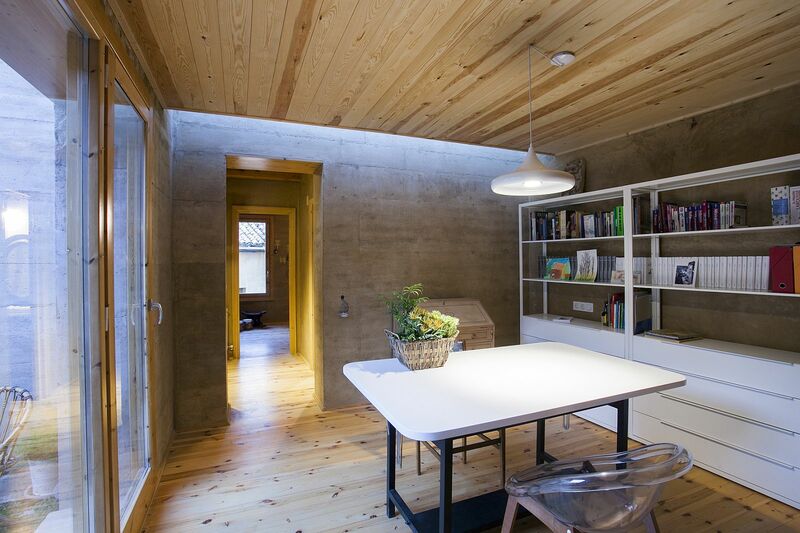 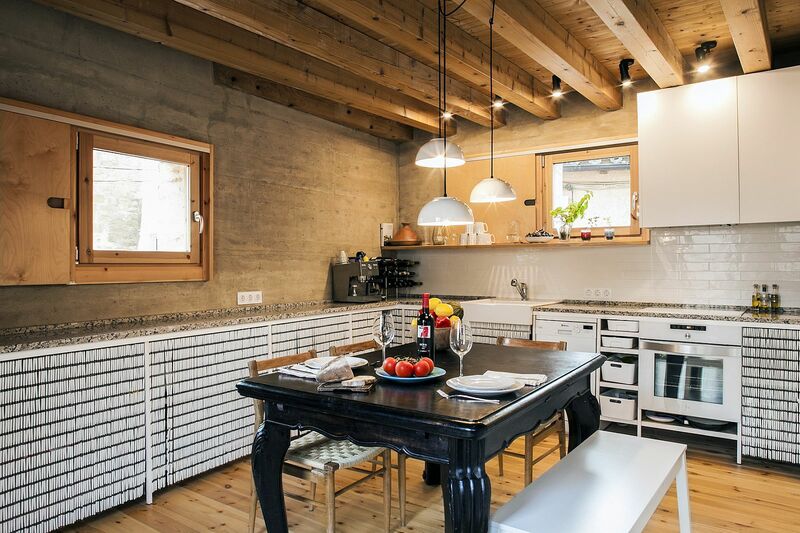 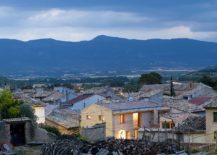 Sustainability was one of the key components of the design, and over its life period this cozy Spanish house is projected to cut out carbon emissions by as much as 50% when compared to regular residences of similar size. 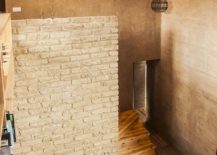 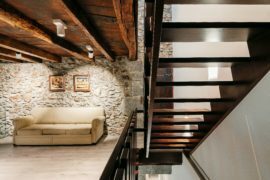 On the inside, beautiful wooden surfaces, clay plastered walls and exposed brick surfaces bring in ample textural contrast, as one clearly notices a modern-rustic style. 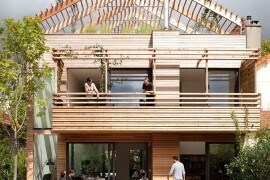 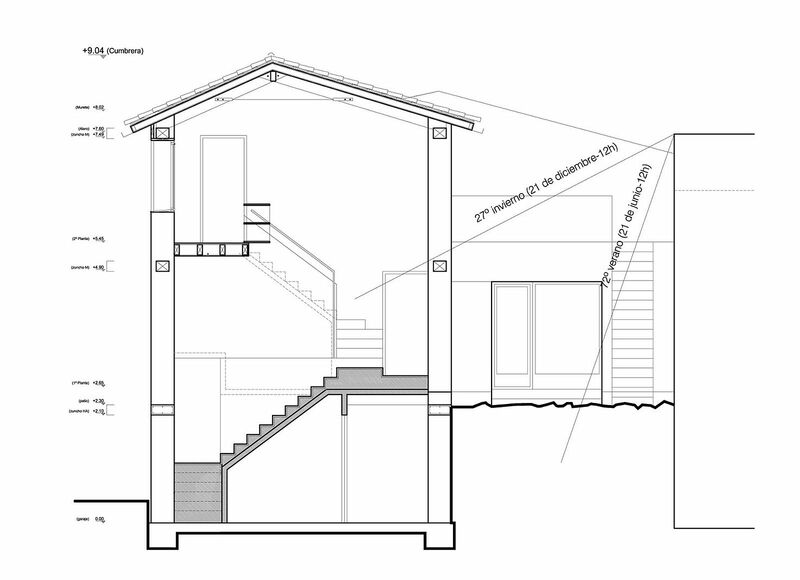 The upper floors are built in 45cm-thick earthen walls, and timber decks support the housing spaces. 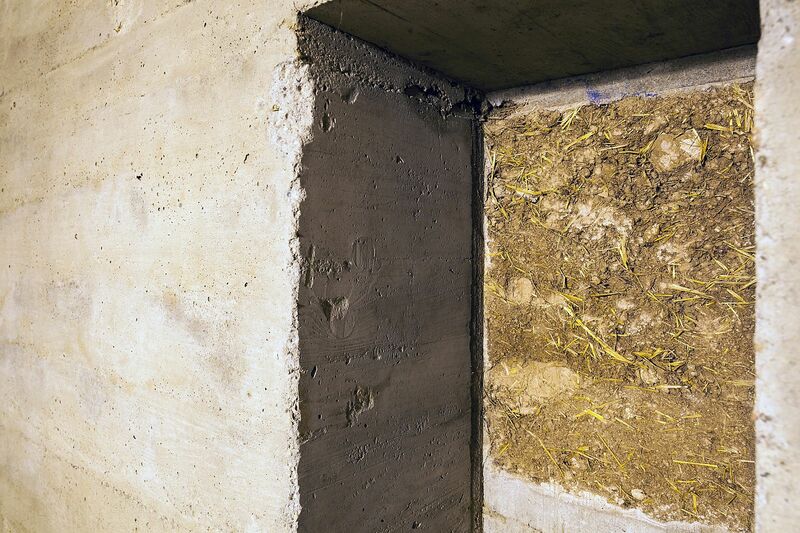 Earth selection was objective and was tested in laboratory. 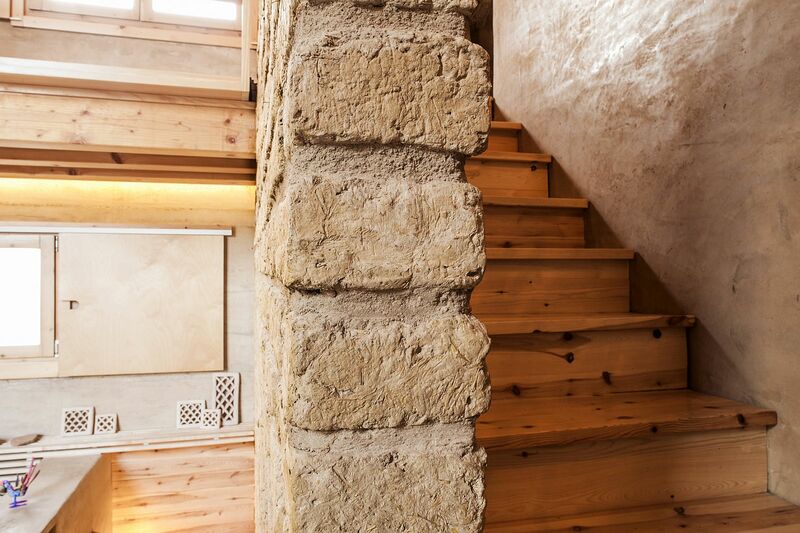 The wooden work form used was a standardized system and was mounted continuous and simultaneously fitting it immediately before the filling. 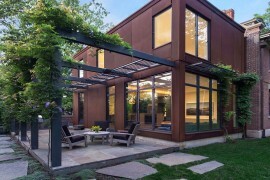 The construction process was mechanized to improve execution and economic performance.